A 16th century residence transformed into a stunning country hotel, Villa Armena Relais is the most luxurious gourmet getaway in Crete Senesi. 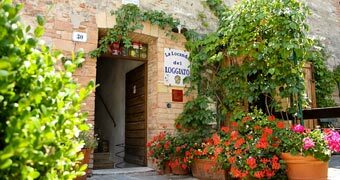 In Bagno Vignoni, an ancient Inn transformed into a beautiful B&B, offering in-room spa treats and world famous Tuscan wines. 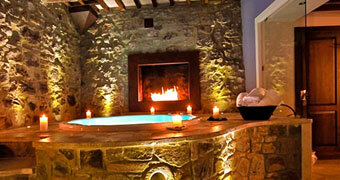 Hotel Palazzo del Capitano: wellness and luxury accommodation in a beautifully restored 15th century edifice in the historic center of San Quirico d'Orcia. The great Tuscan wine in the historic cellar of Abbadia Ardenga. San Quirico d'Orcia is situated atop a hill within the Valdorcia Nature Park, in an area of Tuscany which comprises the towns of Bagno Vignoni, Montalcino, Pienza, and Montepulciano. 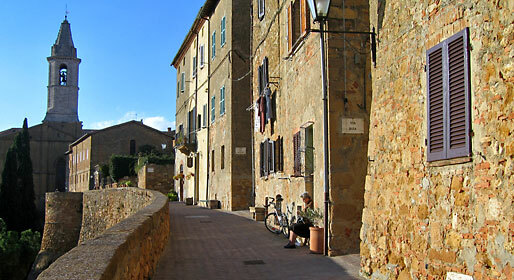 The origins of this ancient town date back to the Etruscan period. Around about the year 1000, San Quirico established itself as important town on the via Franchigena, the road linking Canterbury with Rome. 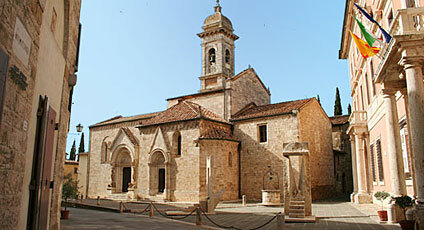 It was in San Quirico d'Orcia that Fredrick I the 1st met with the pontifical authorities after his arrival in Italy to receive the imperial crown in 1154. In 1552 the troops faithful to Charles V chose San Quirico d'Orcia as military outpost from where to control the entire valley. An imposing perimeter wall protects the town, accessed by a gateway, the only of the four original gateways to have survived the passage of time. The historic center of San Quirico perfectly conserves its medieval plan and a great number of impressive works of architecture such as the Romanesque Church of the Collegiata, with its three portals one of which attributed to Giovanni Pisano; the 17th century Palazzo Chigi; the Church of San Francesco which houses a Madonna by Andrea della Robbia; the Horti Leonini, splendid example of late 16th century landscape gardening; the intimate Romanesque Church of Santa Maria dell'Assunta and the Ospedale della Scala, once the refuge of pilgrims travelling along the via Franchigena. 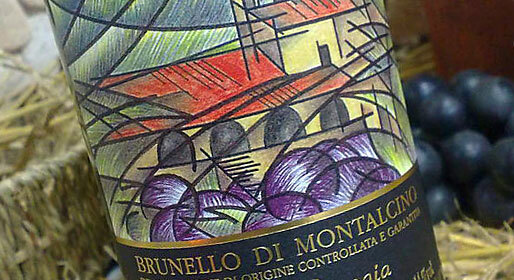 From the heights of Montalcino: a powerful wine, a lasting passion.